Heritage Academy has always seen the importance of teaching our students the value of helping others. We believe that everyone can play a part when it comes to those who are in need. We hope it sets a foundation in giving, as well as a life of being grateful for what we have. After all, what is more important for the next generation than to learn to give and love unconditionally? For years we have provided high school students the opportunity to go on a school mission trip. The mission trip is life changing, not only for the students who are able to go, but for the entire school. We host an annual Pennies for Missions fundraiser where each class, Pre-K through 12th grade, rallies together to raise money for the cause. By doing this, the entire student body is blessed by seeing how that money affects the life of a child. We have recently partnered with an organization called One by One. 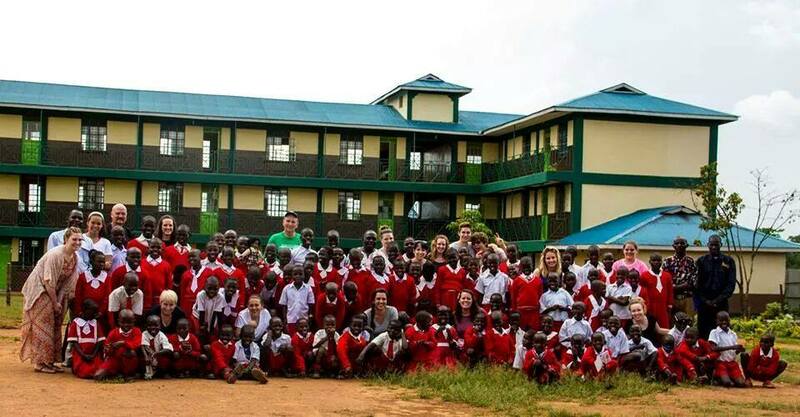 This organization has a children’s home in Kenya. They seek to change the lives of the village by taking in children without homes, food, or care givers. These children are truly left to fend for themselves. Through the generosity of One by One and for their love of the unwanted, they have been welcomed by the villagers and have been able to change lives. If you are interested in partnering with us to support Student Mission Trips, such as One by One, to donate to Pennies for Missions or would like information about any of the above programs please contact Heritage Academy at 859-525-0213. PENNIES FOR MISSIONS- During this Fall fundraiser students are encouraged to bring as many pennies as they can to raise support for an Orphanage in Bamala, Kenya. Classes will work together as a team and many classes and individuals will receive prizes for their participation.